I’m Susan, a fellow Breast Cancer Action member, and I will match your donation to Breast Cancer Action if you donate between now and midnight tomorrow. Give today so I can double your impact! Here’s why I support Breast Cancer Action. A few years ago I attended a congressional briefing about how the U.S. regulates toxic chemicals. I was shocked and outraged by what I learned. I thought our government was doing their job and protecting us from toxic chemicals linked to breast cancer and other health problems. I was very wrong – cancer-linked chemicals are in our food, air, water, and everyday products on store shelves. I care deeply about protecting our health from toxic chemicals linked to cancer. I support Breast Cancer Action because they’re doing unique and important work to end our exposure to toxic chemicals that harm our health. And I love that Breast Cancer Action empowers us with information and resources to join together to demand change. 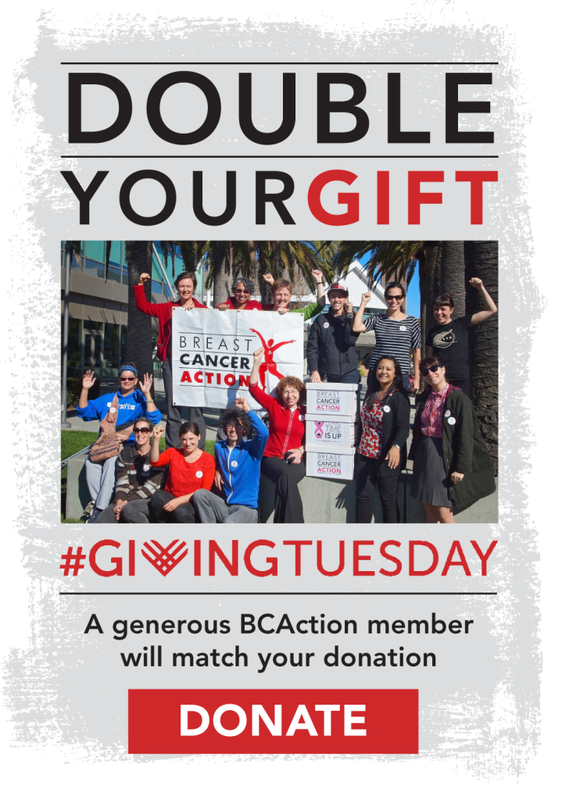 If you share my concern about the cancer-linked chemicals we’re all exposed to, make a donation to Breast Cancer Action today and I will DOUBLE your gift. I am proud to support an organization that refuses corporate funding that would compromise their independence. 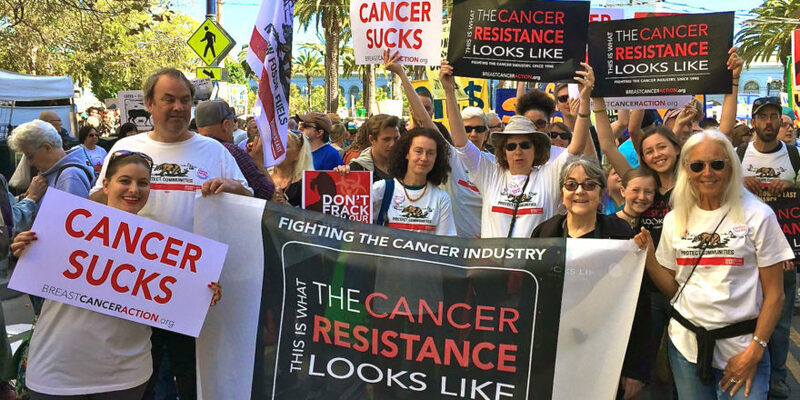 We need Breast Cancer Action because they stand up to the corporations who are polluting our environment and our bodies – and the government agencies that let them! For #GivingTuesday, I will double every dollar you donate, up to $25,000 in honor of Breast Cancer Action’s 25th anniversary year. I hope you will join me in supporting this amazing organization today.